Springfield sits north of Savannah and provides residents with a quiet, charming place in which to live. This southeastern Georgia town feels the heat during the summer as the humidity ramps up and blankets the area with moist air. Pests thrive in the South and make their homes right here in Springfield. If fleas, termites, and mosquitoes have infiltrated your property, Ideal Pest Control has the ideal solution for your insect problems. Fleas not only cause itchy welts when they bite you; they can also transmit diseases such as typhus. Fleas breed by the thousands and can hide in carpets, upholstery, and clothing where they lay hundreds of tiny eggs. Even if you use products to get rid of adult fleas, the eggs will hatch later and cause another infestation. Our technicians can eliminate both the adults and the eggs, keeping fleas out of your home for good. Mosquitoes also transmit diseases to people, such as the Zika virus. They're also responsible for spreading the West Nile virus across the globe. 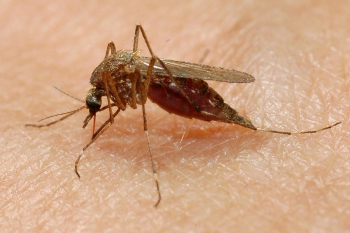 Female mosquitoes are the culprits behind the bites since they require protein from your blood to produce eggs. Afterward, they lay the eggs in standing water such as a puddle, a water bowl or a birdbath. Mosquitoes locate their victims by detecting carbon dioxide. Once you walk outside and breathe, you instantly become a target to nearby mosquitoes. Our trained technicians will eliminate mosquito infestations and set up effective barriers to prevent future problems. It's important to understand the difference between carpenter ants and termites. Whereas a carpenter ant bores into wood to build nests, a termite eats the wood until it's gone. Termites look very similar to ants, but you can tell them apart since a termite has a much larger head and a thicker section between the thorax and the abdomen. Like ants, termites live in colonies. However, termite colonies grow quite large and are built within wooden timbers such as home structures, furniture, fence posts, and decking. Termites devour the wood and use it to nourish the colony, thus weakening the structure as they feed. If they're not controlled and eliminated, termites will cost you thousands of dollars in repairs and compromise your home's structural integrity. Contact Ideal Pest Control for a free quote and to request an inspection. Fleas, mosquitoes, and termites cause different problems and require specialized treatments by a professional. Our certified and experienced pest control professionals will not only eliminate infestations but also prevent annoying pests from returning to your home and threatening your family.